Renee van Esso at school. Jacob was born at Hoogeveen on 2 August 1873 as the son of Enoch van Esso and Jette Israels. In 1905 he married at Veendam to Helena Bendik (born at Veendam in 1880 as the daughter of Benjamin Bendik and Reintje van Esso). They got four children: Henriëtte Sophie (1907), Benno Harry (1909), Edward Jacob (1910), and Renee Helena (1904).Helena died in 1916. Jacob remarried, this time to Johanna Salomons(born at Arnhem in 1878).In 1922 a son was born: Arnold Hans. 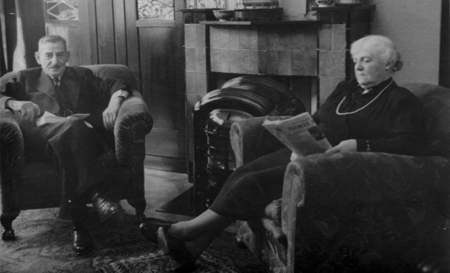 From 1 November 1933 Johanna’s mentally handicapped sister came to live with them. A blotting paper of the ‘Jacob van Esso Sack Trade Ltd’ office in Rotterdam. Jacob van Esso traded in sacks and darned clothes in the center of Meppel. He was called the ‘the sacks Jew’, to distinguish him from Hartog van Esso who was called the ‘skins Jew’. In the good years before the war he employed more than fifty people. In 1923 ‘Jacob van Esso Sack Trade Ltd’ was established. He worked in the business together with his two sons of minor age. Eddy was longest in the business (till 1975). 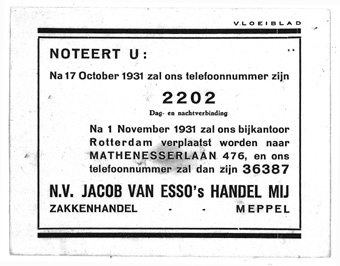 In June 1940, when the fighting had stopped, Jacob was the first citizen of Meppel to cross the river IJssel to start doing business in Amsterdam. In 1941 he had a nice little sum to establish a new fake firm called ‘Javes, Metal and old Clothes Ltd.’ The Verwalter who kept complaining about high cash withdrawals realized much later that he had been fooled by the Van Esso family. Apparently he then did not feel like doing something about it. Jacob also defied the Germans by writing all his letters in Dutch instead of in German, and by trifling with what was required from him. On 13 July 1942 Gerrit van Werven from Meppel was appointed Treuhänder with the firm. He was meant to run the business, but after two weeks he quit. He was succeeded by H. de Jong who lived on Bloemendalstraat. 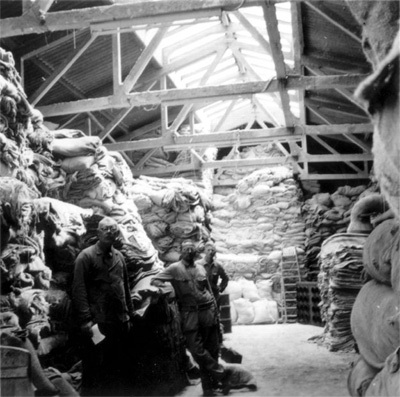 In the early part of 1943 he was appointed Liquidationstreuhänder, for the Germans had changed their minds. They liquidated the firm. 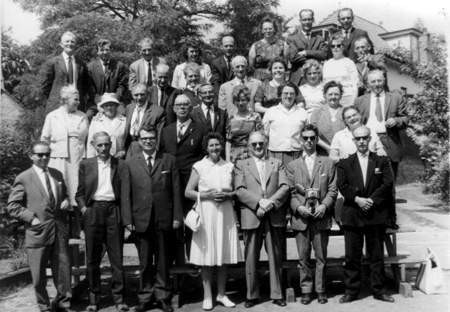 The personnel of the Van Esso firm during a trip in the seventies. Back row, 3rd from left, Eddy van Esso. At the beginning of the war Arnold, Benno and Edward still lived with their parents (after a stay in Rotterdam from 1929 till 1933). Henriëtte and Renee had already left home. Renee had gone to Rotterdam in 1928 (Mathenesserlaan 476A) to work there as a nurse. Until the war she lived alternately in Rotterdam, Amsterdam, Meppel and Apeldoorn. Henriëtte married in 1930 and got two children, a daughter and a son. Ze died in 1976, in Zeist. For Arnold the war started in a bad way. The day that the Germans marched into Meppel, his bike (a Brandligt en Van Werven) was stolen by an artillery man of the retreating Dutch army. On 21 May 1940, Meppel council received a letter saying that Benno H. van Esso, volunteer at the Air Surveillance post Meppel had to report at once at the Airforce Service at Alkmaar. Mayor Mackay made one of his civil servants write a letter, which was delivered by council messenger Nieuwhoff. Arnold was the only one of the family who was still at school. In September 1939 he was a pupil of form IVB of the Rijks-HBS (state grammar school). Two years later he was forced to go to the Jewish Lyceum in Zwolle, where he finished grammar school. I would like to inform you that J. van Esso, Zuideinde, Meppel has hidden goods at Boom’s Agricultural store in Kruisstraat in Meppel. It was hidden there in crates in the attic during the time that Jewish citizens had to hand in their jewels and other valuables. One day a German called Schulte came to me and told me that the goods of Jacob van Esso had been stored with the firm of L. van Dijk, in 2nd Hoofdstraat. He advised me to remove them to protect the owner E.A.J. Lakke. We removed the goods, which were partly sent to Germany. We managed to keep the valuables so that we could give them back to Jacob after the war. On 2 October the house and part of the contents of the Van Esso home was confiscated. They moved to 3 Prinsenstraat. 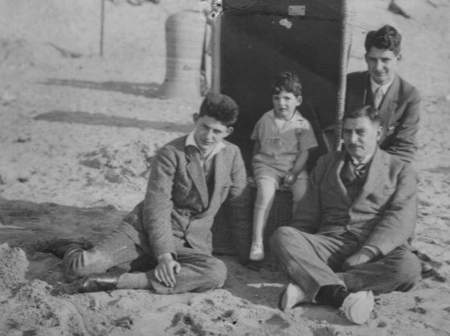 On 3 October the Jews were deported and most members of the Van Esso family went into hiding. What happened to them? 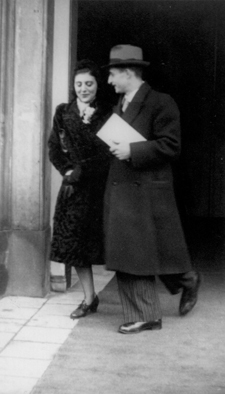 Jacob’s eldest son Benno fled together with his wife Elsa Cohen to The Hague. On 20 October the police in Meppel contacted the police in Rotterdam concerning the arrest of Benno van Esso and his wife. He should have been taken to the work camp in Linde, but he had escaped. The Rotterdam police inquired if the persons in question were missing in Meppel, as they had no identity papers with them. Mayor Wisman had ordered to trace and arrest them, as they had moved from Meppel without permission. They were arrested in Rotterdam and handed over by the Documentation office to the Sicherheitspolizei. On 31 March 1944 he died somewhere in Central Europe. His wife died in Auschwitz on 11 November 1942. The sons Edward (Eddy) and Arnold were in hiding near Rotterdam and survived the war. So did Henriëtte and Renee. Mary Kattenburg was born in Rotterdam in 1908 and passed her youth there. She had already made friends with her future husband from Meppel, who also lived in Rotterdam for a while. 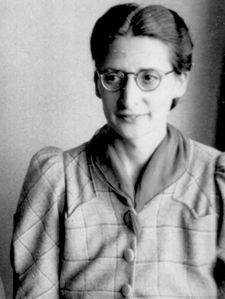 They took part in and won many bridge drives in the late twenties .She was educated as a secretary and even became private secretary to Dr Anton Philips for some years .She married Mr. R. van Buren and was together with him and her child transported via Westerbork to the extermination camp Bergen-Belsen. Her husband died there of typhoid in January 1945.Mary and her child managed to survive in spite of terrible hardship. At the end of the war she too suffered from typhoid and was transported to an American hospital via a Russian prison camp. From there she came, even more weakened, back to The Netherlands. In August 1945 she stayed with Mr. S. Lobstein in Meppel, who studied in Rotterdam before the war and knew her. There she met again her old friend Mr. E. van Esso. The poor state of transport in those days is illustrated by the fact that when Mr. van Esso asked his old friend for a trip to Dickninge, they had to use a carrier tricycle, because she was too weak to go there by bike. There were no cars then .During that trip they decided to get married. They got married on 30 November 1945 and from that day Mary van Esso was a Meppel citizen. After the wedding Eddy, Mary, Hanneke and Rita, an adopted child, went to live with the Wateler family who resided at 126 Zuideinde. Later on they moved to a place in Wilhelminapark. 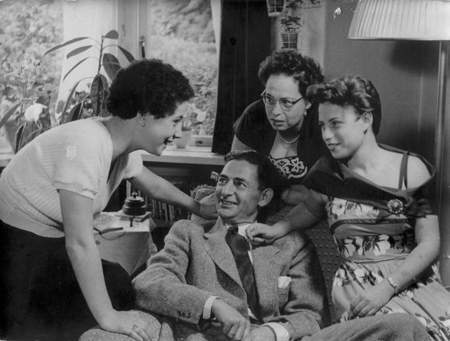 After his parents had died, Eddy, Mary and their daughters were the only Jewish inhabitants of Meppel. Regarding Bernardina Henriëtte Salomons, the only thing the Population Register of the town Meppel states that she left abroad on October 3rd, 1942. A euphemism for deportation! But, inquires in Westerbork teaches us she has never been there. Did her personal record card mention the correct information? Commercial traveler Aron Salomons and his wife Henriette Frederika Frankfort became the parents of nine children. Bernardina Henriëtte was the second youngest child of these children. She was born February 23, 1888 at Oudezijds Voorburgwal 21 (also known as Oude Waal 26) in Amsterdam. 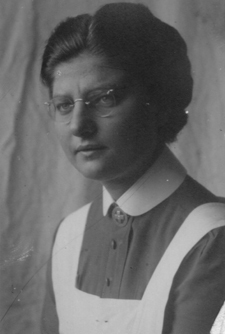 Her occupation was housekeeper, first in Amsterdam, later from 1920 to 1928 in Meppel, until 1933 in Rotterdam and finally she came back to Meppel. There she lived with her sister and brother in law where she was responsible for the household. Probably she left Meppel with the children on July 16, 1942. In his diary, Jacob van Esso wrote that after the children had left, he stayed alone with his wife Johanna in Meppel. Perhaps the family of Elsa Cohen - who lived in The Hague - found not only a shelter for the children of Van Esso, but also for her. Jacob had many contacts in Meppel and perhaps he found a car or truck with driver who brought the people to the West of our country. Again in his diary, 'W.D.' tells him all about the procedure of the transport after returning to Meppel. Of course, Bernardina's stay outside Meppel was not passed on the Population Register of the municipality. Therefore, on October 2, 1942 she moved ‘together with sister and brother-in-law’ to Prinsenstraat 3 and left a day later ‘abroad’. Meanwhile she was hiding somewhere in The Hague. She died on March 20, 1943. Cause of death is unknown. On March 23, the accused Nicolaas van Poelgeest appeared at the Civil Servicein The Hague, to announce that the unmarried Bernardina Henriëtte Salomons had died on Saturday, March 20th at 4 pm. 55 years old and (still!) living in Meppel. They entered the kitchen; a small lady with snow-white hair and her husband. She did not have a Jewish appearance, he did. I could not sleep in the spare bedroom, as the Van Essos had to sleep there. They were put up in a room facing the street. Here behind the window and in the kitchen they spent more than a year. Jacob played ‘patience’, his wife did domestic work and read books. Of course they listened when possible to BBC radio on their well-hidden wireless. And if something happened? They would hide in a small place where the former lavatory had been, a sort of cupboard between a bedroom and a store-room. One time they had to hide there during a house search. Fortunately the accomplices of the German occupying forces did not discover them. Nobody seems to have known that Hulsbergen had Jews in hiding in his house. Even the neighbours, the Pullen family did not know. Only Henny Hulsbergen, a famous architect in Meppel in those days, knew. One day, when he entered his brother’s house without knocking, he met the Van Esso family. He has never said anything about it. At the beginning of 1943 Jacob and Johanna left for reasons unknown. There was a rumour, that the neighbour opposite, who was suspected of being a collaborator, came to tell them that he had seen Jacob van Esso in front of the window and that the latter had better leave Meppel. With the aid of the resistance they left Meppel and managed to survive somewhere else. 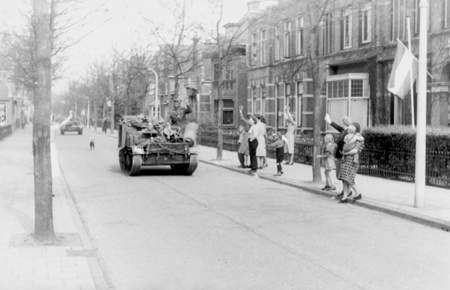 After the war they came back to Meppel and settled in their old home on Zuideinde. Jacob van Esso's sun Arnold van Esso died in Israel in 2006. When sorting out his inheritance, all sorts of papers were found, including a notebook written by hand. Nobody was able to read what it was about, as it turned out to have been written in Dutch. The diary of Arnold’s father: Jacob van Esso. 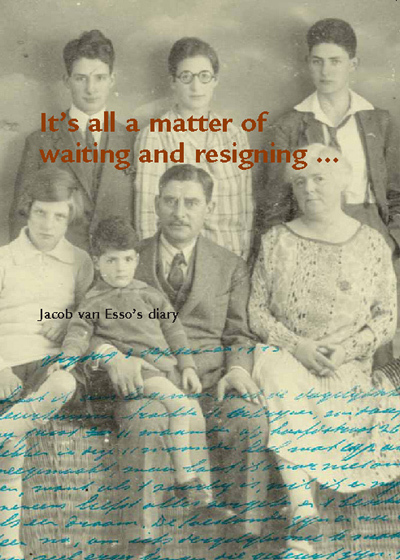 The diary of Jacob van Esso is an exceptional document in many aspects. Exceptional, because it was written during the period that he was in hiding in the Second World War. Exceptional, because it provides a lot of information about this terrible episode. Exceptional, because it has been preserved for such a long time. Exceptional, because the discovery was like a small miracle. The English translation is almost finished. Jacob and Johanna van Esso back in their old home on Zuideinde.